Well, I am now an uncle. My younger sister had her first baby just after noon today. It was a long labor (24+ hours) as that little guy just did not want to come out. My kids are older now, so it’s been a while since I’ve been around a baby. Babies are amazing to watch how they learn about the world around them. And it will be fun to watch my sister and my brother-in-law learn how to be parents. Apparently, my personal site here was down a week ago or so, and I had no idea. I don’t check it every day and it seems my host does not have a notification of when a site is not working. Regardless, when I did get things restored it looks like I lost some articles. Checking my back-ups I realized I had not refreshed that in over a year. So it looks like I lost anything I posted in the last year. Actually, I’m not sure I posted anything as it has been a crazy busy year. At any rate, things have been restored and I need to think about getting a system notification check service as well as a better back-up strategy other than manually copying posts into text files or doing irregular sql dumps. For a while I had enabled a facebook likes plug-in. This was mostly for the purposes of experimentation on my part. Sometime over the last few months I had read an article about people who add facebook and other social links to their sites as having the appearance of being desperate. However, that is not the reason I dumped the plug-in. I dumped the FB likes because the api was just terrible. Instead of some neat div or button, it had a table wrapped around things and a ton of inline styling. Even worse, it was slow to load. I never really expected anyone to ever like an article I posted as there are so few of you (except myself, how desperate would that be? Hah!). So why waste your time making my site load slower? If anyone wants to actually like an article, they can copy and paste the link into a FB post and like it from there. 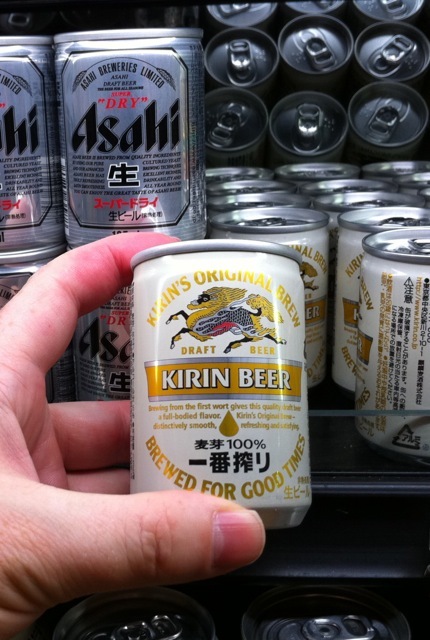 As with all things Japanese, they of course have miniature beer cans. I am not sure who the target audience is for these little cans; Women, children, pocket-ninjas? I estimate it would take about 36 of these to begin to get drunk… well for me. For some of you hardier folks it would probably be more like 100. Well I finally got around to cleaning up the site here and upgrading the blog software. I had let things go for a while and pretty much had to start over with the site design. The fun thing is I got to try out some cool stuff that I have been using for some professional work, but did not have time to do for my personal site. I added a jquery image slider to the header. JQuery is really hot right now amongst designers because it makes adding powerful interaction and UI effects as easy as it can get. I also added a google font api for the site title text. This is really cool as it expands the fonts one can use in site design without having to resort to images. Google is offering these fonts hosted from their servers for free. If google ever turns that off, the CSS will degrade nicely using the other font family I have set for that particular design. Another good thing about this… It will not interfere with SEO rankings as your text is indexed with the emphasis of the surrounding tags. I hope to work on a couple of other designs shortly as I think it is really fun to make the site look completely different visually while still keeping the same structure and content.